In the Press | A "Comedy Experience" that is never the same twice! A "Comedy Experience" that is never the same twice! Center City Philadelphia: Your next date night should be here! We were the Belle of the Ball! Every Friday and Saturday of the Fest. 10:00pm. Unplanned. Unpredictable. Uncontrollably funny. 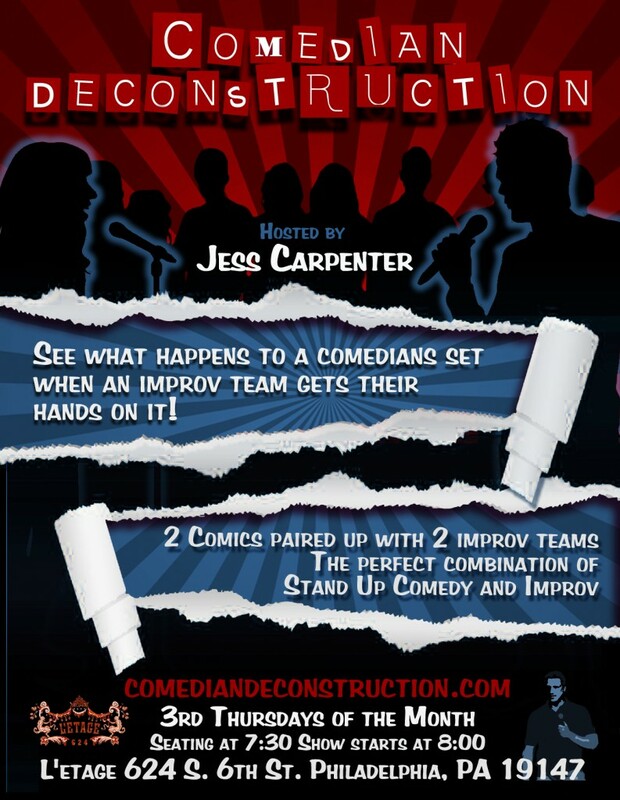 Comedian Deconstruction is a unique mashup of the worlds of stand-up and improvisational comedy kicking off late on Friday 1 May at Fringe Bar, featuring the best local, national, and international stand-up comics of stage and screen backed up by the international festival’s best improvisors. The standup comics do their sets, the improvisors perform scenes and stories based on the sets. Hilarity ensues. Featuring an ever-rotating line up of performers, every night promises to be uniquely unrepeatable – book early and often! Watch this space for cast announcements. Comedian Deconstruction is the brainchild of Jess Carpenter, a comedian from Philadelphia. It was brought to this side of the globe by Neil Thornton and Jennifer O’Sullivan. The first performance occurred this spring in Wellington and was a rousing success, and was even nominated for “Best New Show Concept” in the Wellington Comedy Awards. Neil Thornton is a stand-up comic who recently moved to New Zealand from New York City, where he was a regular at many New York Comedy Clubs and performed all over the Northeast US. He now tours as a comic throughout New Zealand and recently appeared on TV3’s comedy special After Hours. Jennifer O’Sullivan is one of Wellington’s premiere improvisors (The Young and the WITless, Thrills & Swoon, Taking off the Bird Suit). She currently performs with Definitely Not Witches, PlayShop and WIT, and runs the New Zealand Improv Festival. Comedian Deconstruction. Two or three local standup acts perform a 10- to 15-minute set on a specific theme, and then their act is sketched out by different local improv troupes. Next week’s theme is “sports”. 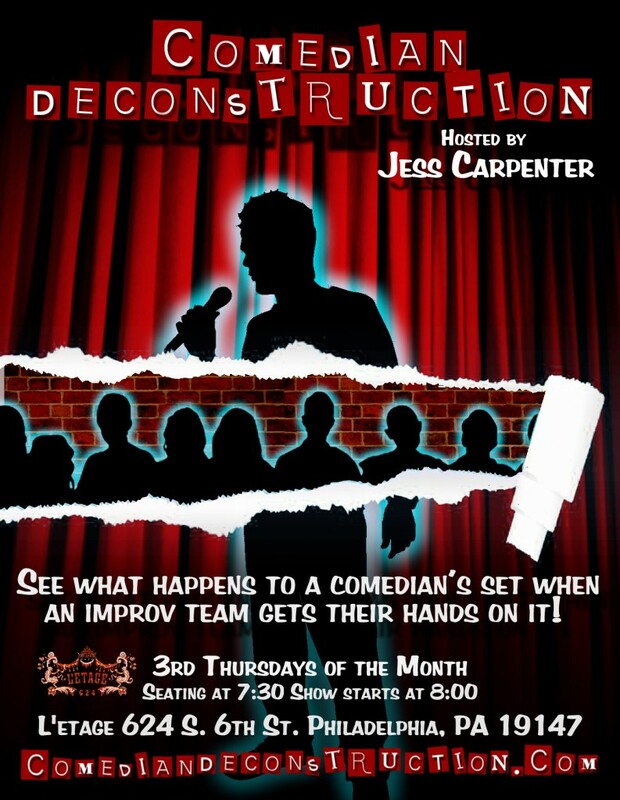 LOL WITH IT favs Pat Barker andSydney Gantt will be “deconstructed” byGrimacchio (Jason Grimley and Ralph Andracchio) and Nielsen (Abigail Bruley, Brad Zinn, Dan Corkery, Jacqueline Baker, Kate Banford, Katie Monaco, Meredith Weir, and Molly Silverman). I checked out a recent installment, the “Dirty Show” featuring alarmingly inappropriate comedy from opening act Steve Miller and deconstructees Frank Genzano and Mayo. Their acts were improvised by A Romp with Steve & Andy and Hate Speech Committee. Truly wild! 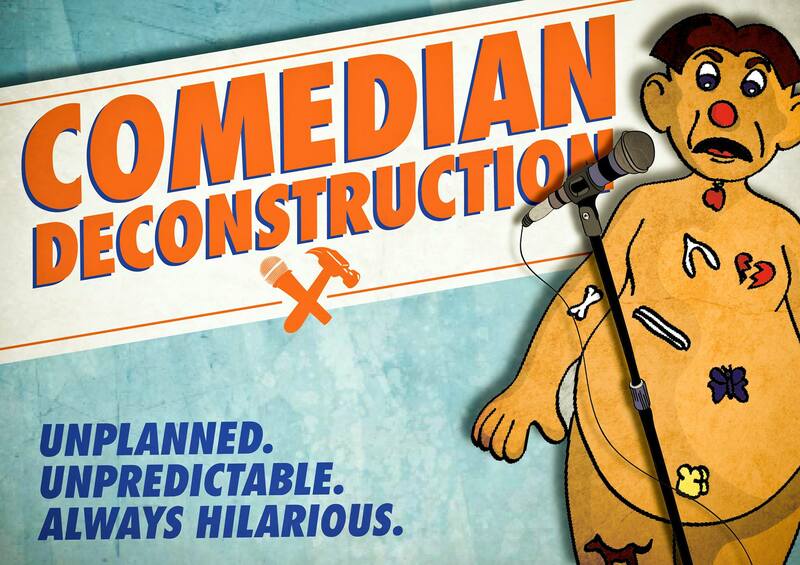 It’s one of the best comedy show concepts in Philly. You have to see it for yourself. 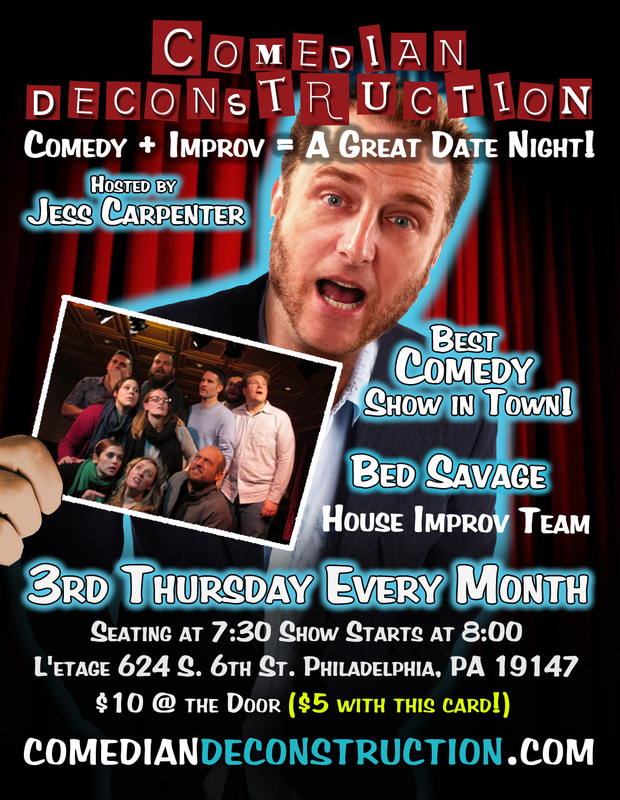 Every 3rd Thursday, 7:30 p.m., $5, L’Etage, 624 S. Sixth St., 215-592-0656, creperie-beaumonde.com/lt, comediandeconstruction.com.